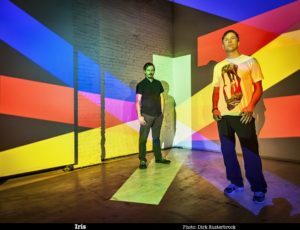 IRIS are one of few American electronic bands to crack Europe, having toured with the likes of DE/VISION and MESH. Formed in Texas, they started playing covers before reaching their own sound, a sound which has grown to be rather distinctive, thanks to Reagan Jones’ interesting voice and ear-pleasing synth melodies. The rather easy listening tone of IRIS’ tunes appeals to wider audience than say, COMBICHRIST’s, an audience that may struggle with beefy synth combos and would prefer a slightly softer approach. 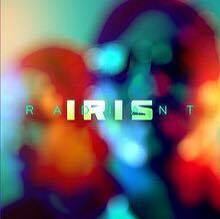 IRIS provide that impeccably well, with a distinct dose of nostalgia. After ‘Disconnect’, Matthew Morris was replaced by Andrew Sega, how did that influence the music direction? His influence was immediate. Matt and Andrew are both highly proficient music producers who each bring their own style. I mean, you can find someone who can help get a song out, but the ones who really bring their own influence and craft are rare. I think because Matt and Andrew’s process and style differ so extensively, it was inevitable Andrew’s influence would be quite pronounced. Also, Matt introduced us at a time when I was still searching as a writer and wanting to challenge things, so when Andrew came around, I was looking at everything with a pretty open mind. That set the tone right, because he didn’t come from my background, meaning he was maybe too young to really have been into the whole retro, techno pop sound like CETU JAVU and CAUSE & EFFECT and things like that, so it was a shift in a very new direction. 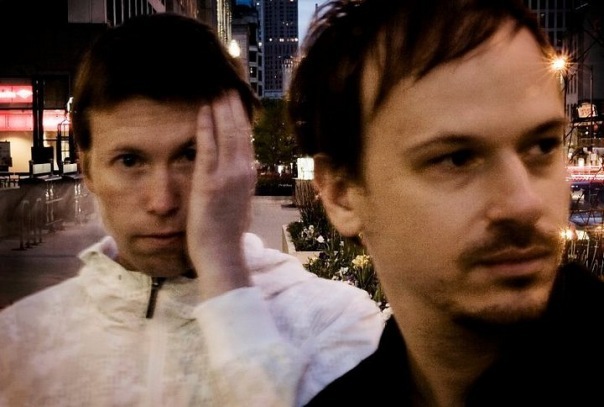 ’Awakening’ had more experimental electronic directions, was that due to Andrew? 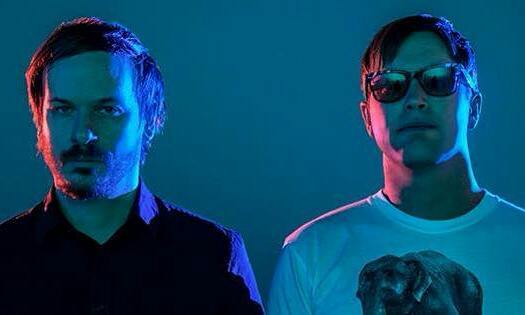 Everything with ‘Awakening’ was experimental since Andrew was basically new to the synthpop thing, and I was trying to think of new ways to write a song, so we were kinda headed in our own directions trying to figure out our path in all of this. The entire ethos was experimental. Sonically it doesn’t sound like a synthpop album really, and that’s a direct influence of Andrew because as I said, he’s coming from a more experimental background, maybe more like UNDERWORLD or APHEX TWIN, whereas I was more retro, so we had to somehow make that work. It was all an experiment, but it gelled and became more exciting once we saw how to make it work without trying too hard. What were your influences apart from the obvious DEPECHE MODE effect? 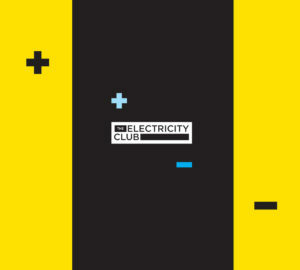 There’s two silos of music in my life — electronic pop that was played simultaneously on radio and in clubs, here in the US from maybe 1987-1991, so bands like ANYTHING BOX, RED FLAG, INFORMATION SOCIETY, T42, SEVEN RED SEVEN, DM, CAUSE & EFFECT etc., and then there’s everything else. Somehow I found one of my greatest influences in the second silo, and that’s Glen Phillips from TOAD THE WET SPROCKET. I believe he’s, historically, one of the greatest songwriters, and as I got stuck in that glue, it removed some of the DM clone mentality. ‘Lose In Wanting’ was the first song to reflect that, and it’s really the beginning of IRIS as it’s known today as far as my contribution. This is why I tell anyone who asks about carving out their own sound, go find someone outside the scene you exist in, someone who can influence you to a degree that you’re mixing strange ingredients and forcing you into unpredictable waters. 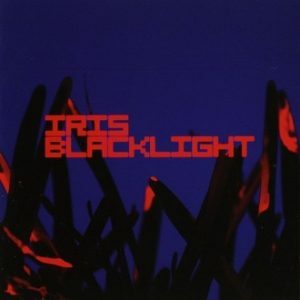 After 2005 ‘Wrath’, IRIS came to Europe to do a few gigs, it must have been a big thing for you to be able to crack the other side of the Atlantic? Hard to describe but it was a life changer. I’ll never forget sitting on this massive jet, even before leaving American soil, and hearing the flight attendants speaking German. That’s when it really set in for us that we were coming to Europe. I’d also been a fan of DE/VISION for quite a while and had a lot of respect for their writing prowess, so being asked by them was just really awesome. That whole first touring experience was something I’ll never forget, and it gave us the opportunity to get in front of larger audiences without having to earn it alone, by ourselves back in America. The whole experience was tremendous. In 2011 you did a three week American tour with MESH and DE/VISION, what memories have you of that? Everyone from these camps runs a pretty tight show on and off stage, so tours like these are rather civilized compared with what you might think. The memories are mainly the experience of travelling together. I mean the shows are why we’re there of course, but it’s the travel experience that really comes home with you. I recall myself and Chris Pedersen renting mountain bikes and exploring Tuscon Arizona, which is like the classic, large cactus style desert setting, the real thing. That was cool. You’re very big in Russia, does that come as a bit of a shock for an American electronic band? I grew up in basically the rural south of America during The Cold War, so it’s been a strange reward from this whole experience that we’ve been invited to play Russia this many times. It felt triumphant on a personal level, that a kid from the piney woods of east Texas could ever walk through Red Square, or play a wedding 4 hours outside Moscow, or take the Siberian Express from in the middle of the night when all you could see outside was the moonlit snow of the Russian tundra. It felt like, this shouldn’t be happening, but our trips to Russia have always been surreal and on a level of life experience that’s hard to describe. It’s been a shock at times, but a good shock, and I think our brief moments with these fabulous people have been even more emotional sometimes than other places. The fans in Russia are really special, there’s a sense within the crowd that elevates everything, and I think we both feel lucky to have had any place in that. It’s been one of our favorite places, there’s always a great amount of excitement when coming to Russia, and that never goes away. The electronic music scene in the UK can be hit and miss at times, even though we have some great bands, we seem to be always behind the rest of Europe, Germany being a leader. What’s the situation in the US? I don’t know, I think the previous, social barriers are gone in America as it pertains to electronic song-based music, so you have a ton of bands coming up now that are amazing. THE NEW DIVISION and MR KITTY are outstanding, and of course Canadian bands that play the US often like PURITY RING, METRIC and TR/ST. For us though, I tend to see our music as written more for the individual, if that makes sense. I think no matter where you are around the world, people have the same fears, the same hopes and dreams, the same loneliness, questions about life, concerns, passions, and all the rest, so we tend not to think very geographically. Yeah, it’s been a step in the right direction. We’ve had label support before, particularly Infacted with ‘Blacklight’, where Torben Schmidt did so much to get us over there and kinda paved the way for us in Europe, but we’ve always remained a fairly DIY band. With Dependent, we’ve really let go of things once handled on our own, and I say “we” but I should say Andrew, because he’s owned almost all the business side on his own, and now he can take a break. I can say it’s been a good move so far; we’re letting go of some control but Stefan Herwig seems to have a good eye for how things should be, and of course you have to build that trust, but ‘Radiant’ is working out better than we expected so I think this trust is there now. We’re glad to have someone take on some of the responsibilities we’ve carried alone for so long. The album’s sound doesn’t differ much from your previous releases, which will please the ear of your established fans. Are you happy to be in the comfort zone? I guess that depends on who’s listening. The initial response has been even more positive than we expected, because you just never know, and people seem to hear ‘Radiant’ as a progression for us, evolved from where we’ve been before. Technically, how do you approach your sound? Any favourite synths? In the era of soft synthesizers, do you still use the physical thing? Yes, I got left behind with all the soft synths and stayed true to my Korg workstations. I currently use the Kronos but I’ve had each of their workstations since the 01/W. I’m just acclimated to the Korg sequencer and interface, it’s a lazy thing on my behalf, but I just want to write and the Korg provides a nice canvass. Europe misses you, any plans to come back and tour ‘Radiant’? I think that’s the idea, if we can make it work with our schedules we’d like to be back. You never know how people will respond to an album and whether that response merits a tour, but so far the reception has been good, so now I think, especially with Dependent working out various options, a tour is more likely than not. Hopefully we’ll get to play some festivals if nothing else, there’s several we haven’t been able to play before, so we’re looking forward to what 2015 can bring and as always, being back in Europe is very nice.